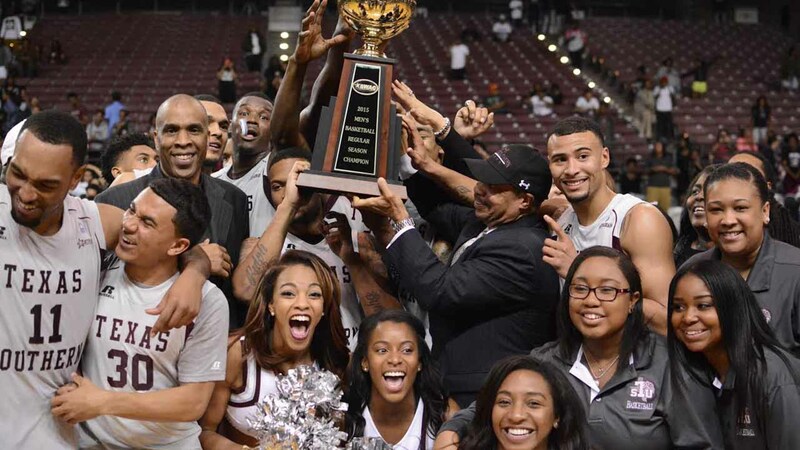 HOUSTON (KTRK) -- In front of a home crowd Monday night at HP&E Arena, Texas Southern men's basketball team claimed another Southwestern Athletic Conference regular season championship. The Tigers defeated Alabama State, 96-86. Two-sport athlete Derrick Griffin lead the Tigers (16-12, 15-1) with 23 points and notched a total of 12 rebounds. Forward Chris Thomas added another triple-double with 20 points, 11 rebounds and 10 assists. The Tigers have two games remaining on their regular season schedule. Under Head Coach Mike Davis, the Tigers have won the regular season title three out of the last four years. SWAC Tournament action will kick-off on March 8 at the Toyota Center, in downtown Houston.